As a personal trainer, you know that progress made in the gym (and in the betterment of one’s health in general) is slow or non-existent without a clear goal in mind. 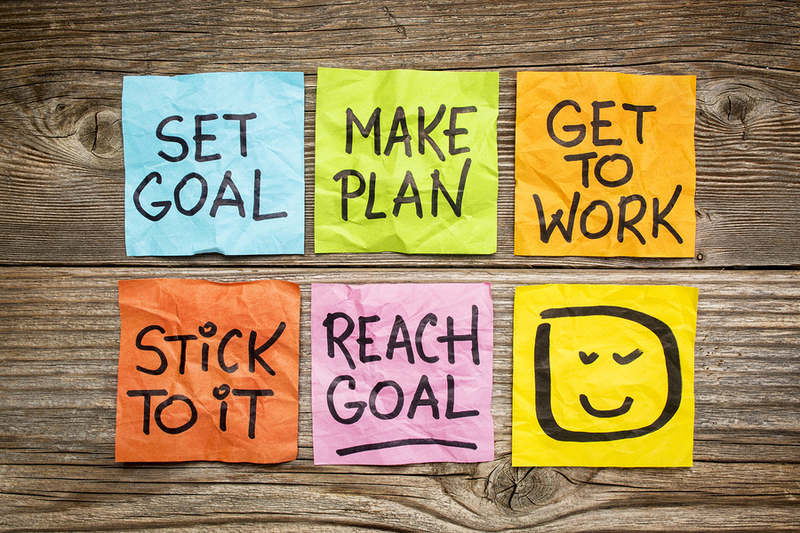 Goals give us direction and meaning in what we do in addition to a deadline that motivates us to work hard. You’ve probably experienced the client who comes in wanting to be skinnier, healthier, stronger, and so on without a clear vision on how to get there. You play an instrumental role in helping your clients succeed. Here’s how you can create fitness goals for your clients that are realistic and self-motivating. #1 Goals need to be focused. A goal like “be healthier” can mean a lot of things from quitting smoke, cutting out fast food, exercising more often, or losing weight. Your clients should instead make a specific goal like, “My goal is to be healthier by exercising at least three times per week and cutting out fast foods from my diet.” This is a much better goal because it can be measured by counting the number of workouts and number of fast food meals not eaten. #2 Goals need to be meaningful. You know it’s much easier to reach a goal when it’s something you want for yourself – not that other people want for you. Therefore, your clients’ goals should be self-motivating. If a client really wants to be able to say that he or she did cardio three times a week for a month straight, then that should be the goal you help them work toward. It’s important for your clients to work toward goals for them, not for anybody peer-pressuring them into losing weight, gaining more muscle, and so forth. #3 Goals need deadlines. And those deadlines need to be enforced, which is where you as the trainer play a key role. Without a deadline, it’s easy to say, “I’ll work out tomorrow instead.” Procrastination can destroy achieving one’s goals. Encourage your clients to stick to a timeline. It might also be helpful to break down a goal into smaller goals. For example, a goal to lose 10 pounds in two months could be broken down into pounds lost per week. #4 Attainability! It’s great when clients have ambitious fitness goals, but by setting the bar too high, they can inadvertently set themselves up for failure. It’s important for you to teach your clients how to establish reasonable goals that will force them to push themselves without being so lofty that your clients end up disappointed. For someone who has never worked out before, attempting to exercise five days a week from the get-go might be too difficult; their body won’t be used to that level of physical demand. However, setting goal to be up to five workouts per week six months from when that person begins working out might be much more reasonable for that person.